Mineral fertilisation executed before sowing or after sowing of crops is the basic agrotechnical treatment, and nobody needs to be reminded of its necessity. The utilised fertilisers contain mainly nitrogen (N), potassium (K), phosphorus (P), sulphur (S) and magnesium (Mg) in forms characterised by high bioavailability for the plants. These fertilisers, however, do not provide the plants with bioavailable forms of micronutrients and do not permit quick and interventional application at points in time crucial for the plants: during intense growth, to limit the negative influence of stress factors or under conditions of noticed shortages. Leaf fertilisation entails the use of nutrients (micro- and macronutrients) directly where they are needed – on the leaves or on other parts of the plants. Such a mode of application limits the necessity of uptake of nutrients through the roots and transport 'upwards' through the plant, which may be limited by the properties of a particular element or a water shortage. Leaf fertilisation is particularly important in the case of so-called non-mobile elements in the plant. Their transport within the plant is somewhat hindered, and effects of shortages are seen in young parts – mainly in leaves. The application of leaf fertilisers may reduce the negative effect of shortages of such elements as boron (B), manganese (Mn), iron (Fe). Leaf fertilisers contain, beside micronutrients, also macronutrients (nitrogen, potassium, phosphorus), the application of which at a time of increased needs positively influences the growth and development of plants. 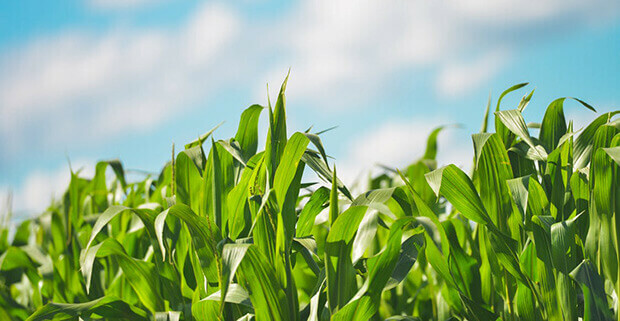 Hence, leaf fertilisation should be an indispensable component of the farming technology – the supply of nutrients at the point, where they are needed, during intense growth, influences positively the processes within the plant, which permits the protection of the crop yield potential of the species. In case of leaf nutrition one should be guided by the rule 'better prevent than treat', hence we recommend leaf fertilisation during the growing season at key moments in order to shape the crop yield. The observation of a shortage of nutrients is a clear sign – lacking micro- or macronutrients in the plant. Physiological processes are disturbed, most probably hindering the utilisation of the full potential of the plant. In order to limit the negative effect of nutrient shortages, leaf fertilisation is necessary. In order to be effective, leaf fertilisation should provide nutrients in a form of high bioavailability for plants, meaning, easily soluble in water. High bioavailability of macronutrients in varying environmental conditions can be achieved by joining some of them with appropriate chelating substances (e. g. DTPA, EDTA). Chelates guarantee high nutrient bioavailability and facilitate their uptake by plants.